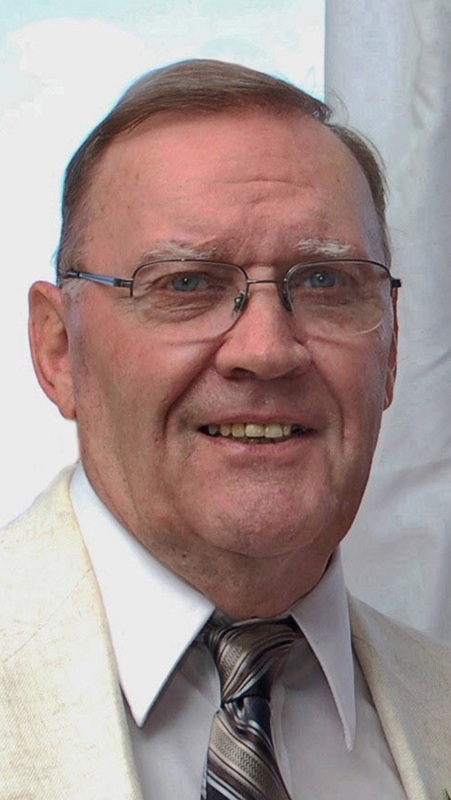 Robert F. Winner, 85, a life long Bradford resident, of 15 S. 2nd Street, Bradford, passed away Friday, October 26, 2018 at his residence. Born April 15, 1933, he was a son of the late Paul H. and Cecelia M. (DeGolier) Winner Sr. He was known to many friends and family by his nickname "Gig". Bob graduated from Bradford Area High School in 1951. He proudly played center for the BHS Owls football team and was team co-captain in 1951. On September 18, 1951, he enlisted in the United States Marine Corp. He served in Korea, and was honorably discharged a Sergeant On September 17, 1954. He was awarded the Korean Service Medal w/2*, UN Service Medal, Korean PUC, and the National Defence Serice Medal. On May 28, 1976 in Bradford, he married Dolores R. (Chase) Winner who passed away October 30, 2016. Gig was employed by Dresser Manufacturing in Bradford for 40 years, and retired in 1995. Gig enjoyed golfing and played with the Dresser League and other team tournaments. Surviving is one daughter, Susan (Tom) Brierley, of Bemus Point NY, one son, Stephen Winner, of Bradford, two grandchildren, Evan Brierley, Heather Brierley Picciott, four stepgrandchildren, Michael Steck Jr., Jennifer Ryan, Jaimie Ryan, and Olivia Steck, two great-grandchildren, Summer and Brielle Picciott, two sisters, Katherine A. (Robert) Eakin of Lewis Run, and Charlotte E. Reinhardt of Bradford, and several nieces and nephews. Bob was preceded in death by his parents, wife Dolores, one stepdaughter Kathleen Ryan, one stepson Michael Steck Sr., and two brothers Allan W. Winner and Paul H. Winner Jr.
Family will be receiving friends on Tuesday, October 30, 2018, from 11:00 am to 12:00 pm in the Hollenbeck-Cahill Funeral Homes, Inc. 372 East Main St., where funeral services will be held at 12:00 pm, with the Rev. Matt Blake, pastor of the Bradford Area Parish, officiating. Committal services and Full Military Honors by members of the Honor Guard of the American Legion Post 108 will follow in St. Bernard Cemetery. Our deepest sympathy to your family during this sad time in your lives. Bob was a great guy and had such a wonderful smile and personality. I enjoyed working with him and Dolores at Dressers. RIP my friend.